This linear park is located along a former rail bed between Iola and Ottawa. The city of Garnett is the midway point, and the park office is located at the Garnett Area Chamber of Commerce building. The Prairie Spirit Trail connects with the 9-mile long Southwind Rail Trail between Humboldt and Iola. Combined, the trails pass through 10 charming rural communities. The Prairie Spirit Trail offers a peaceful and calm tranquility away from the hustle and bustle of big city life. The trail is a linear park passing through three counties with eight pocket-parks along the way. It is a greenway and travel corridor open to pedestrians and bicyclists that traverses diverse ecosystems including tallgrass prairie, riparian areas, agricultural lands, and communities. Along rural portions, the trail is a hard packed limestone screening surface. The trail is asphalted through Garnett and Ottawa. The trail averages a minimum of 8 feet wide. It follows the original rail bed of the old Leavenworth, Lawrence and Fort Gibson Railroad. 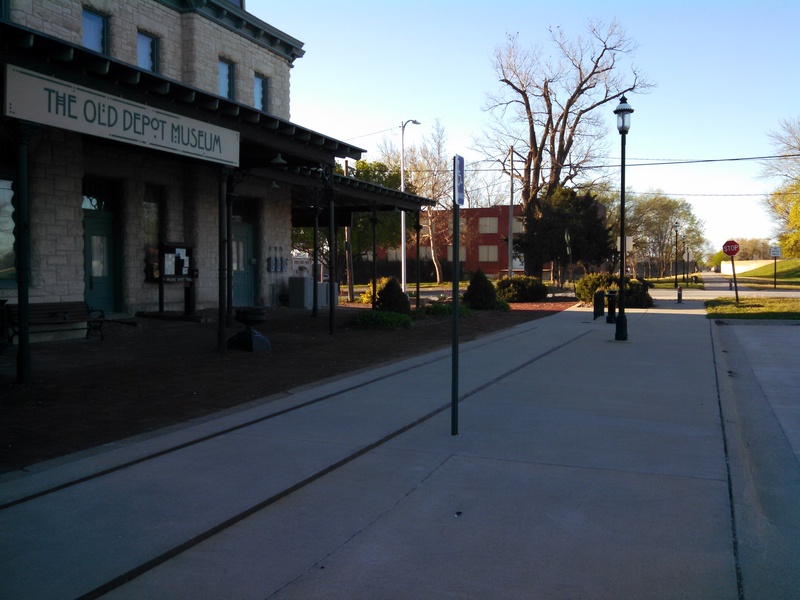 Built in the 1860’s, it was the first north-south rail line in Kansas. The grades are moderate, providing easy travel for hikers and cyclists alike.